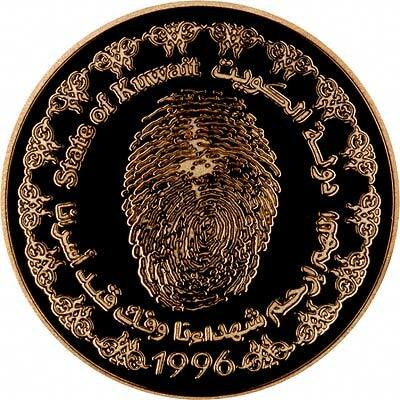 Kuwait is said to have been founded in 1613, the word Kuwait from Kout meaning small castle. 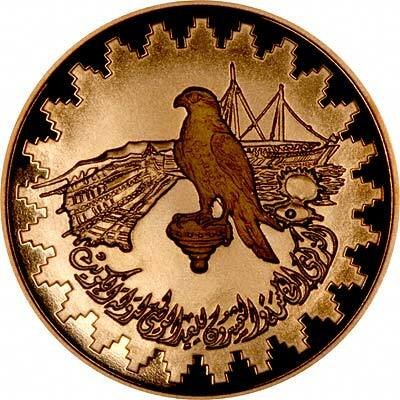 Kuwait City dates from 1740 having been settled by tribesmen from Qatar. In 1899 Sheik Mabarak asked the British for protection, fearing a Turkish takeover. 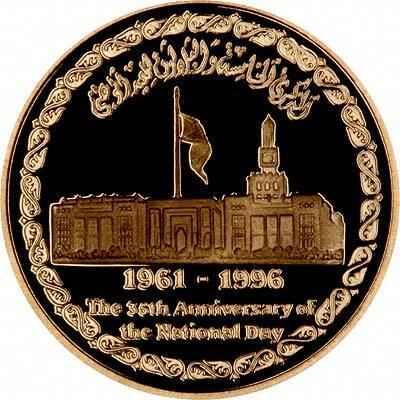 This lasted until 1961 when Britain ended its Protectorate, but made guarantees about Kuwait's defence. 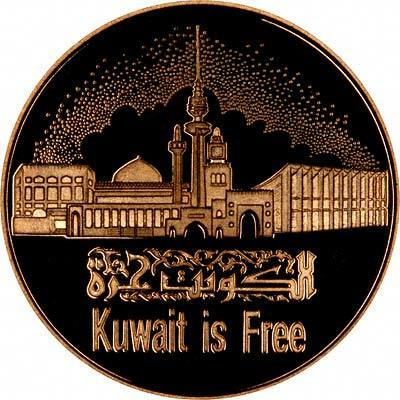 In 1990, Kuwait was invaded by Iraq, but its independence was reinstated by an international coalition, and Kuwait City was liberated on 27th February 1991. 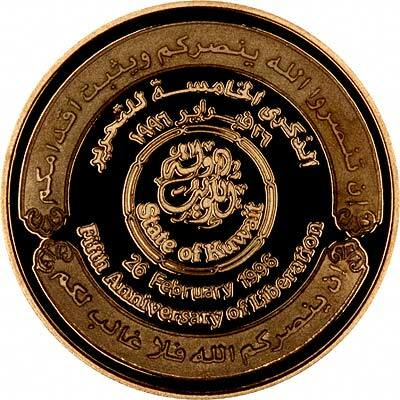 Kuwait issued its first coins in 1961, but did not issue any gold coins until 1981, since when a number of different commemorative issued have been released. 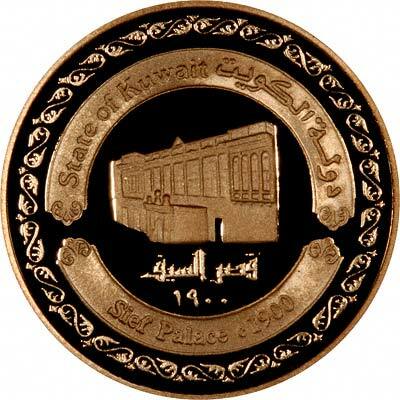 Kuwaiti gold coins are denominated in Dinars. 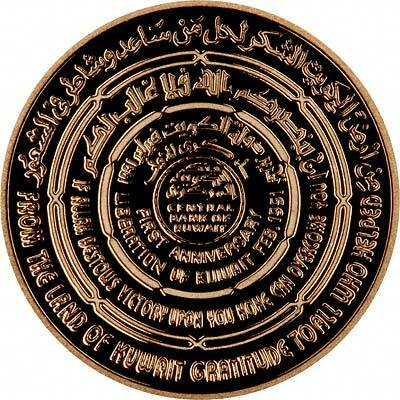 Technical specifications of the most frequently encountered Kuwaiti gold coins. 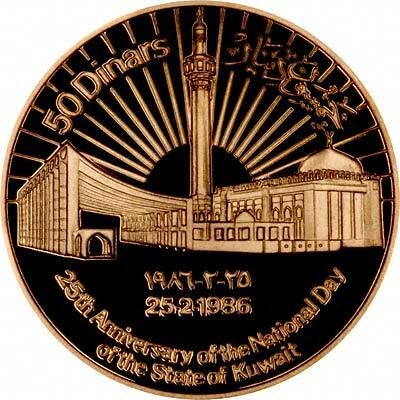 For silver and base metal coins of Kuwait, please look at our original Chard Coins website.